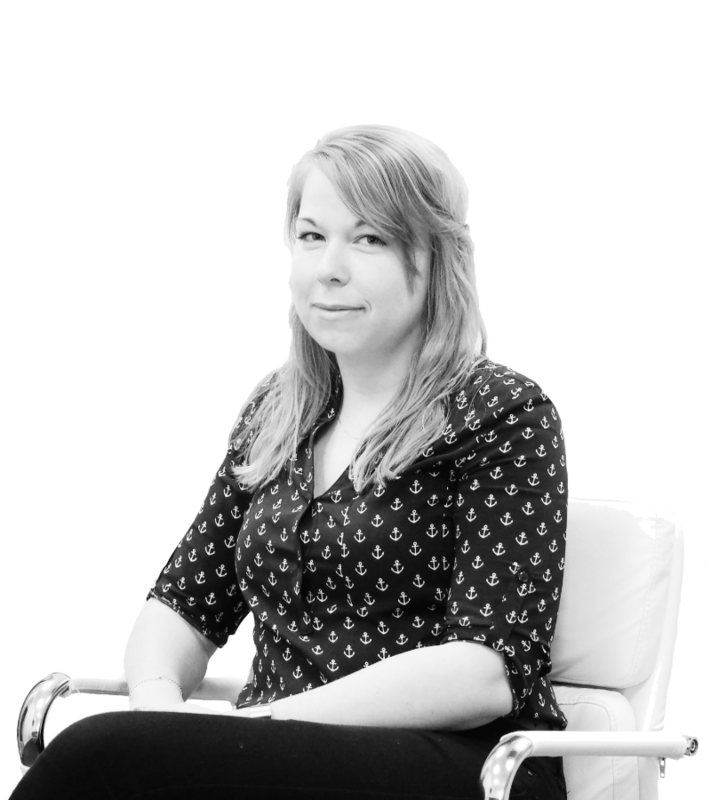 In this day and age there are very few companies who are willing to blur the line between acceptable and unacceptable because we live in such a sensitive society. 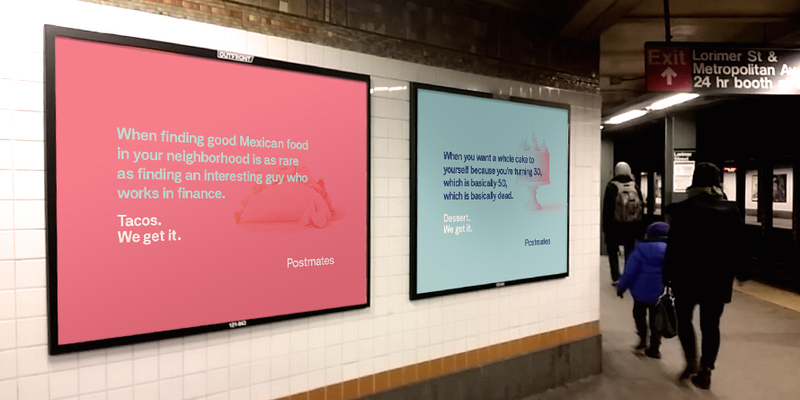 However Postmates, a delivery service that has just launched in New York, have used an ‘out-of-home’ campaign that really resonates with it’s audience in a tongue-in-cheek kind of way, choosing to focus on the reality of how New Yorkers view life rather than just another campaign. These days people are too busy to cook food and with so many different dietary requirements, it’s no long as easy as it used to be to cook dinner. 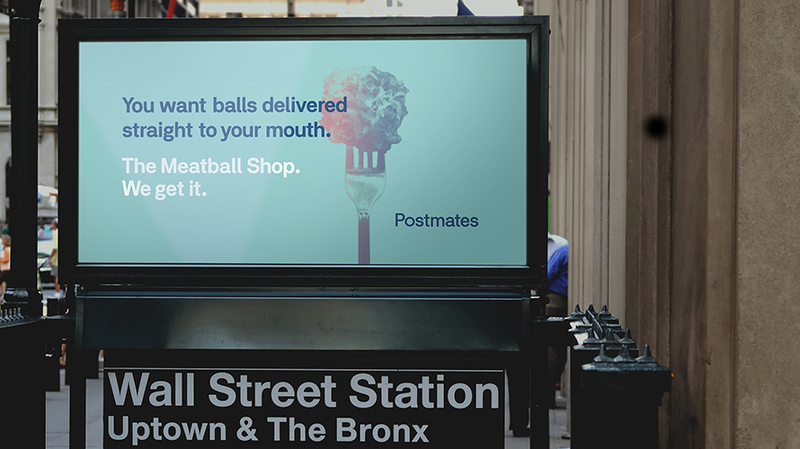 Now days it's much easier to order in and sit down in front of the TV and eat good food without the hassle of cooking. If you had the choice, would you cook your own meal after a long hard day at work and not getting to enjoy your evening? Or would you much prefer to get home from work, order in some great tasting food and be sat down in front of the TV with the rest of your evening in front of you? I know what I'd do.